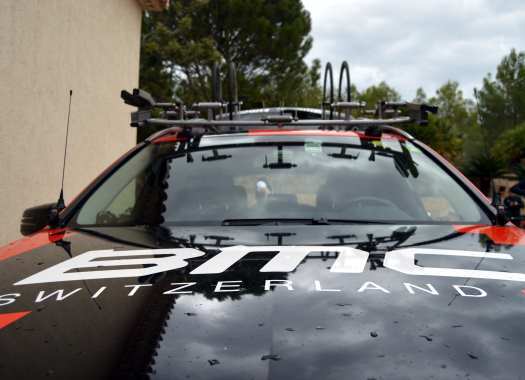 Dylan Teuns will be the leader of BMC Racing Team in the Fleche Wallonne. The rider will try to improve from the 2017 edition of the race, in which he finished third. The Belgian will be backed by a strong team. "The course has changed for La Flèche Wallonne with two new climbs in the first 100km so maybe it is harder from an elevation standpoint but I think it is too early to affect the finale," said Sports Director Jackson Stewart. "The circuit is exactly the same so the race is likely to come down to the final ascent of the Mur de Huy as it normally does. "Dylan Teuns is confident and is riding even better than this time last year and he has the experience to go back and do another good result. We have a good team there to support him until the finale." For Teuns, this is one of his main objectives for the first part of the season. "The classics are always special races. I'm really motivated, I feel that my condition is where it needs to be and I'm confident after some good results this year," the rider commented. "La Flèche Wallonne is a race that really suits me, especially with the steep climbs. The final ascent of the Mur de Huy is the key point of the race so it's important to be well positioned there. I'll look to give it my maximum on Wednesday."